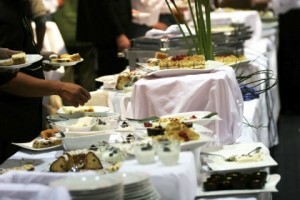 As you may already know, A Catered Affair is Vancouver’s premier catering service. For over 19 years we have provided our customers with exceptional service and quality in everything that we do. 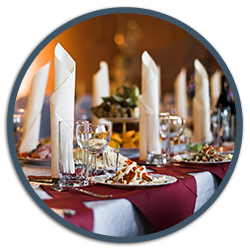 Catering is our specialty, and we exceed all expectations with each event, party or any other function we provide service for. Our commitment to excellence also holds true with the other services we provide. More Than Just Great Food! As your caterer, we can also take care of any decor needs. We are specialists in floral arrangements and offer both creative and innovative centerpieces and other floral arrangements that will make your special event even more special. There will no doubt be moments during your event that you will want captured in time. This is why we offer our professional photography services for your event. Celebrations like birthday parties, farewells and holiday gatherings will not be forgotten as we will capture all those touching moments. Even client meetings, business events and corporate affairs produce photo-worthy moments worth capturing. In our quest for complete client satisfaction, we offer equipment rental. Whether you are holding a corporate event in your place of business or an outdoor barbeque for your family and friends, we can help you make the best arrangements possible. Our success is the result of years of providing excellent services through careful attention to detail. We stand committed to you whatever the event may entail. We give the same amount of effort to your lunch for 8 as we do for a seminar dinner consisting of 3,000 patrons.